Eight Cubans are spending the night on the pavement along Chancery Lane, Port of Spain, after claims they were evicted from the Living Water Foundation in St Joseph because they were unable to pay their rent. 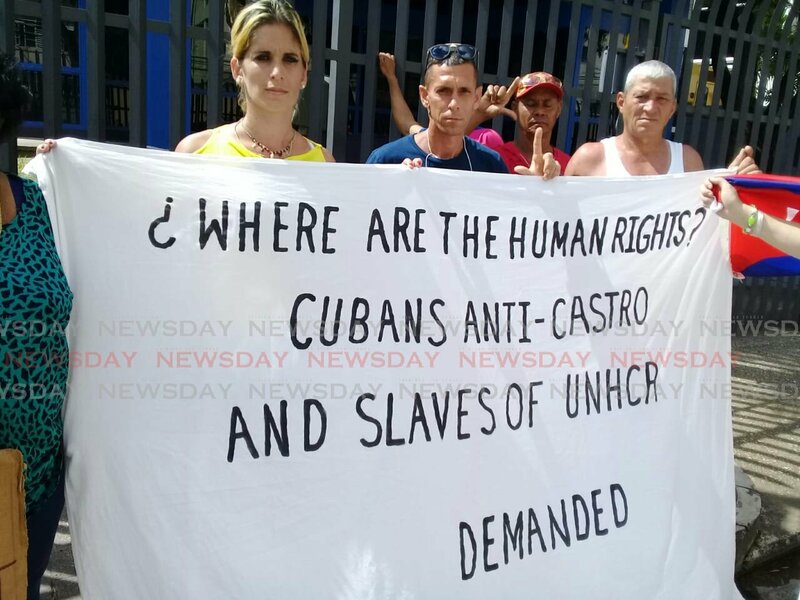 Speaking with Newsday this afternoon one Cuban, Yanko Reves, said the group had slept on the pavement outside the United Nations Human Rights Agency (UNHCR) building for the past seven days, using a public washroom at the Queen's Park Savannah a short distance away. He said they had nowhere else to go and were pleading with the UNHCR to expedite the process to have them sent to another country. "We have been in Trinidad for the past three years and we have been waiting for them (the UNHCR) to help us in finding another country to go to. It has been very hard for us. We cannot get any work permits so we are always in danger of being sent to the Immigration Detention Centre if the police see us," Reves said. 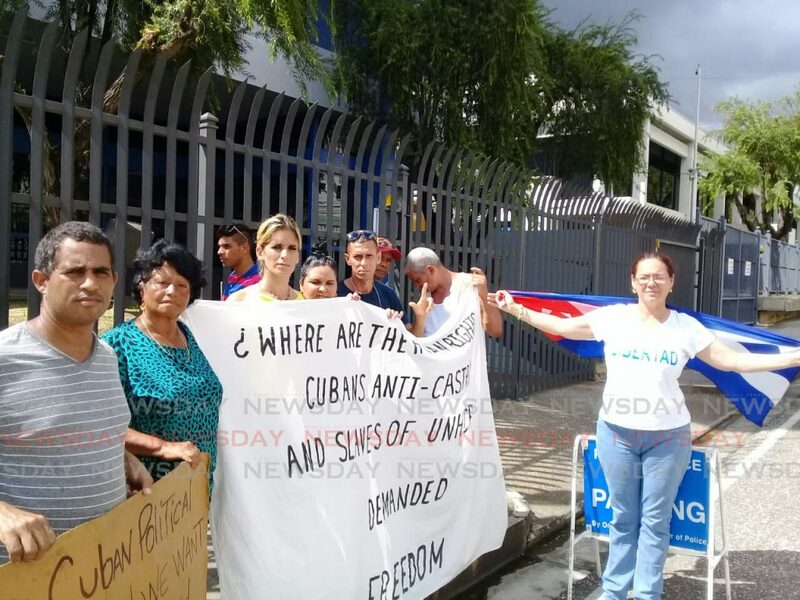 At least one of the eight Cubans involved was also involved in a similar protest demonstration outside the UNHCR building last December. Reves said in addition to the eight adults sleeping on the street there are also seven children, ages 2 to 6 years old, who are being taken care of by local families. Newsday attempted to contact coordinator for Rochelle Nakhid coordinator for the Living Water Foundation for confirmation but were unsuccessful. Reply to "Cubans return to Chancery Lane"